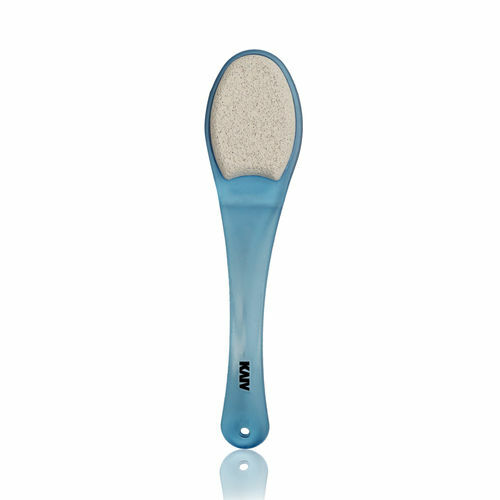 Kaiv Pumice Stone & Emery Foot Filer is a dual purpose accessory that is a must-have pedicure tool. It is made with an ergonomically designed handle and features a Pumice stone on one side and an emery foot filer on the other. The Pumice stone is ideal to rub your heels to get an extra soft feel and Emery foot filer is used to remove hardened dry skin from the bottom of the feet and softens calluses and corns.